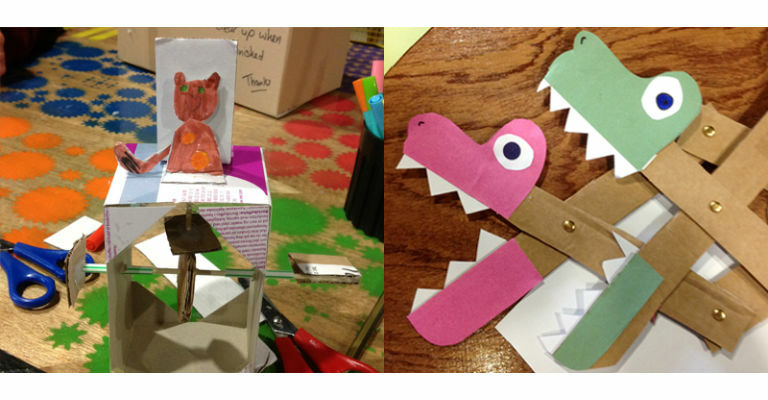 Cardboard automata and linkages are a playful way to explore simple machine elements such as cams and levers, while creating a mechanical sculpture. Working with simple materials, cardboard automata and linkages are easy to get started, and can be as complex as you like. They’re a great way to integrate science and art!